Spring Cable | The most featured product of WCH Cable. WCH Cable is leading manufacturer (cable manufacturer) of custom Spring Cable and standard Spring Cable. All Spring Cable uses (only) very high purity of copper wires as conductors. And, all delivered Spring Cable are guaranteed 100% RoHS Compliant. What is the feature of Spring Cable? Spring cable, is also named Spiral cable or Coiled cable, due to its spiral structure. 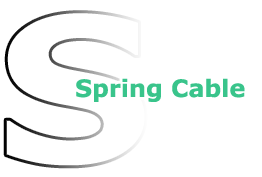 A quality spring cable is helpful in saving space in the compact space. There are usually 2 types of raw cables which can be coiled as spring cable. Those are PVC cable and PUR cable. PVC cable is more common and lower cost, but too loose after coiling process treatment. Flexiblity and flex life are the key points of a quality spring cable. PUR spring cable owns these two outstanding features. Meanwhile it is resistant to harsh constraints situation, like chemicals, solvents. All the positive advantages make PUR cable the most excellent choice to coil the spring cable. What is the technical support of Spring Cable? WCH Cable is able to customize the spring cable as per customer's individual requirement, including conductor gauge, wire size, spiral dimensions, surface effect, material options, etc. Drop us an email or message revealing what you desire, our engineer team will display you the perfect artwork. 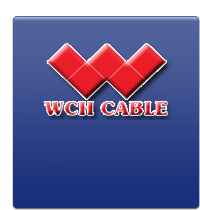 Contact WCH Cable for further assistance of Spring Cable.